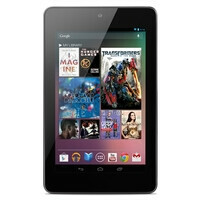 So, you have already pre-ordered your Google Nexus 7 tablet from the Play store, and you are wondering when it might arrive at your doorstep? Well, you are not alone as demand for the tablet has been pretty high so far, and Google is trying to ship the units as fast as possible. Thankfully, some pretty solid information on the matter has been published at the Google Play support page, so that people who have placed orders prior to July 13 can sleep better at night. Those who have pre-ordered after that date can expect getting their Google Nexus 7 within the quoted timeframe and should get a tracking number pretty soon. In the US: We’ve shipped all standalone Nexus 7 8GB orders (e.g. : those without a case, charger or Nexus Q). By the end of day on July 19 (PDT), we will have shipped all standalone Nexus 7 16GB orders placed through July 11 (PDT), and upgraded these orders to overnight shipping. We will process the remaining standalone Nexus 7 16GB orders by the end of next week with overnight shipping. If you ordered your tablet with a case, charger or Nexus Q, your Nexus 7 will ship this week with overnight shipping, in some cases ahead of the rest of your order. But don’t worry, the rest of your order will be on its way soon. In Canada: We’ve shipped all Nexus 7 8GB orders. We are in the process of shipping Nexus 7 16GB orders and will ship them in 1-2 weeks. In the UK: All Nexus 7 8GB orders will ship by July 20 (BST). All Nexus 7 16GB orders placed through June 30 (BST), will ship by July 20 (BST). The remaining Nexus 7 16GB orders will ship next week. In Australia: All Nexus 7 8GB and Nexus 7 16GB orders will be fulfilled by the end of day on July 19 (AEST) and will arrive in 3-5 days. How long do we have to wait for the official cases?